Enabling the cache will boost the overall performance of your installation. You can enable easily the caching system through the administrator panel of Joomla!. 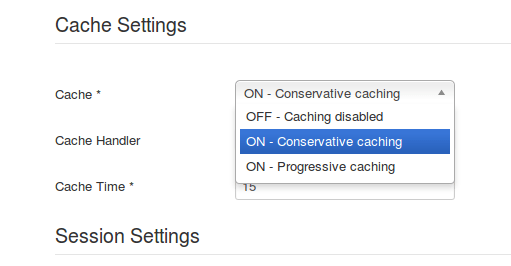 In the “System” tab, set the “Cache Settings” configuration field to “ON - Conservative Caching”. Save the changes. Navigate to the “Extensions -> Plugins” page, search for “cache” and enable the “System -> Page Cache” extension.